These lean chicken meatballs are packed full of zucchini, quinoa and a whole lot of flavour! 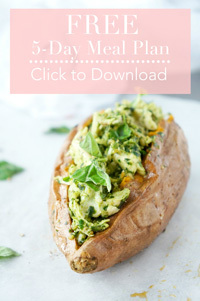 A healthy meal that the whole family will enjoy! I can’t believe the week is halfway over! Given the fact that it’s Wednesday (AKA almost the weekend! ), I thought it would be fitting to talk about meatballs. Meatballs are something that I love to make on weekends because they’re a bit more of a time consuming meal to prepare. First you have to make the meatball mixture….then you have to roll the balls….bake em…make some form of sauce… and a side dish…and in my house, a side of vegetables or a big heap of salad. It takes time and energy to make those balls! Not generally something I feel like doing on weekdays when I’m tired after work. But at the same time, I totally don’t want to miss out on those meaty balls of goodness because they are just so freakin’ good. So weekends are usually when I set aside some quality meatball-making time. This recipe in particular is one of my favourites because it incorporates not only ground chicken, but also quinoa and zucchini. All of those nutrients and fibre packed into those little balls of meat. 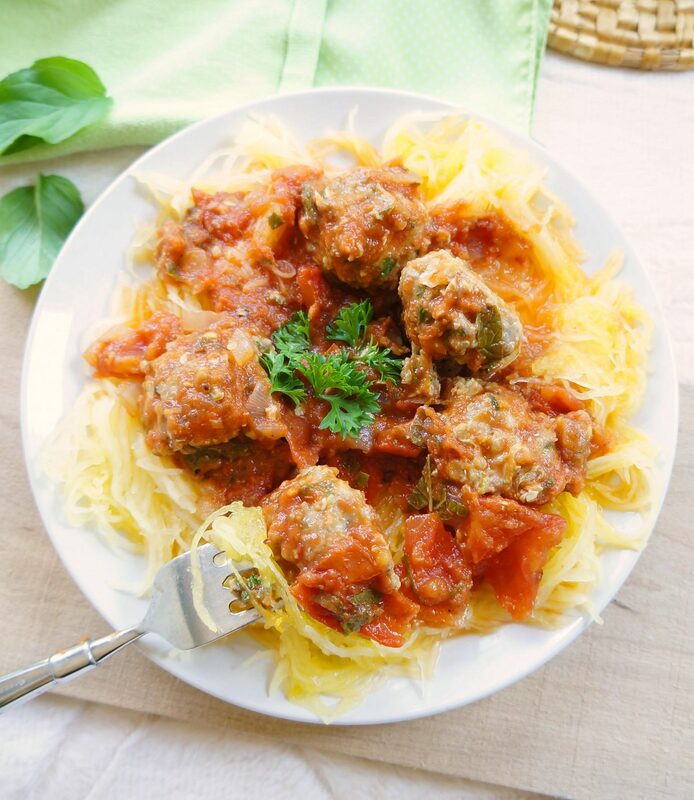 The zucchini is a great way to sneak in some veggies, while adding moisture to the meatballs. And the quinoa works nicely as a replacement for bread crumbs, while adding a dose of fibre, protein and iron. 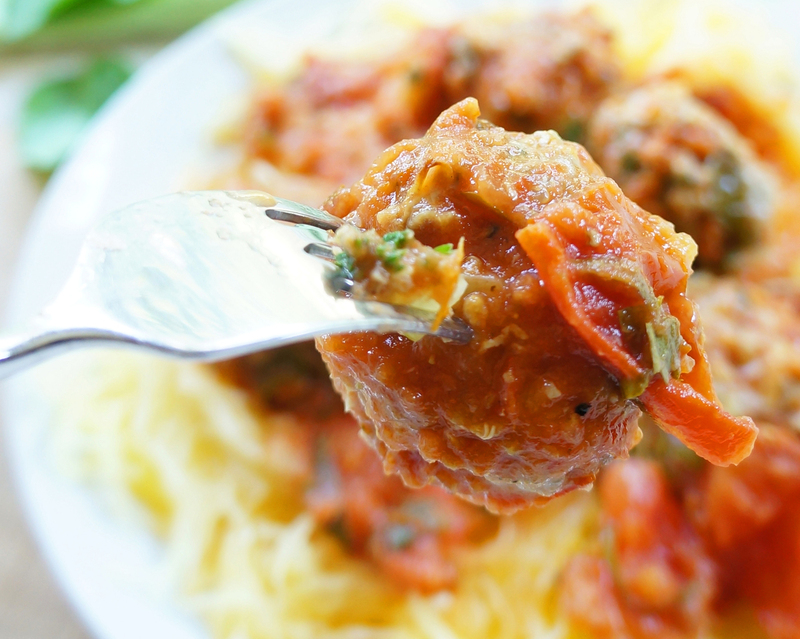 I especially love these meatballs served with my homemade chunky tomato sauce over a bed of spaghetti squash. I’m seriously craving this meal right now. In a large bowl, combine ground chicken, cooked quinoa, chopped onion, garlic, zucchini, parsley, red pepper flakes, oregano, salt, ground pepper and egg. Mix until evenly distributed. Using a 1 tablespoon portion of the chicken mixture, form meatballs by rolling between the palms of your hands. Place the meatballs on the prepared baking sheet, spacing them apart evenly. Bake until the meatballs are firm to the touch and cooked through, approximately 20 minutes. 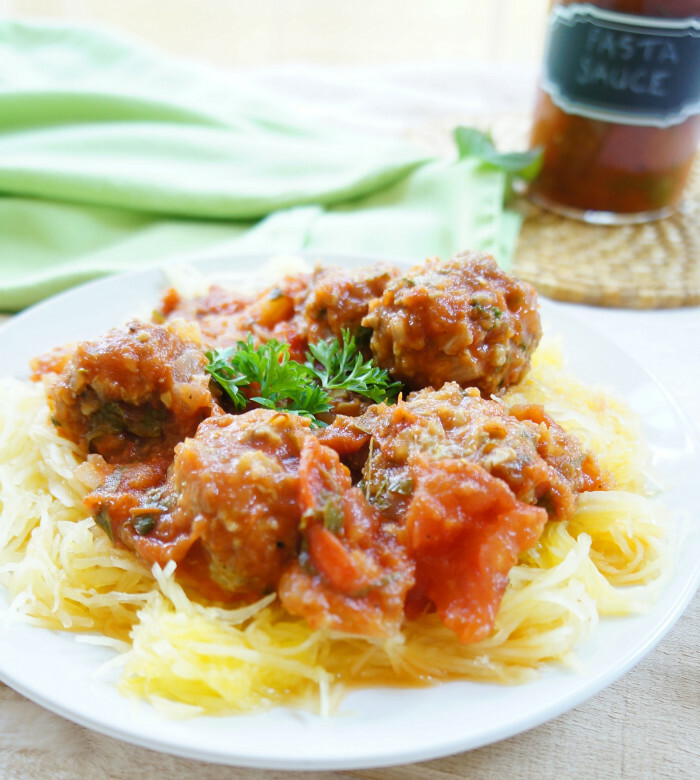 Serve over spaghetti squash, zucchini noodles or whole-grain pasta! I love incorporating quinoa into different things. These sound like a great, healthy dinner option. Pinned for later!! I agree Kathryn — quinoa is fun to experiment with! Thanks for pinning and I hope you enjoy! wow so healthy but so full of flavor, so many delicious things in one dish, very creative, and the photos are mouthwatering! loving it! I love meatballs and these look both delicious and healthy!! I’m pinning and will make these soon for my family!! Thank you Cassandrea! Always look forward to the meatball making weekends! Enjoy! This is exactly what I need — a meatball recipe that doesn’t have breadcrumbs!! Love the idea of using quinoa in them. Perfect solution. Thanks for the inspiration. Will pin for later! These look really yummy. Your photos are beautiful too. I love this lightened-up version of a traditional comfort food! I agree Mary — quinoa is pretty magical and sneaky! So much fun to work with! Hope you like the recipe! These look great! Can’t wait to make them! Thanks Sarah! Hope you enjoy!! I love these meatballs. Great idea adding the quinoa and zucchini. Quinoa in meatballs? Great idea to get my husband to eat some! It sounds like a perfect dinner to me. 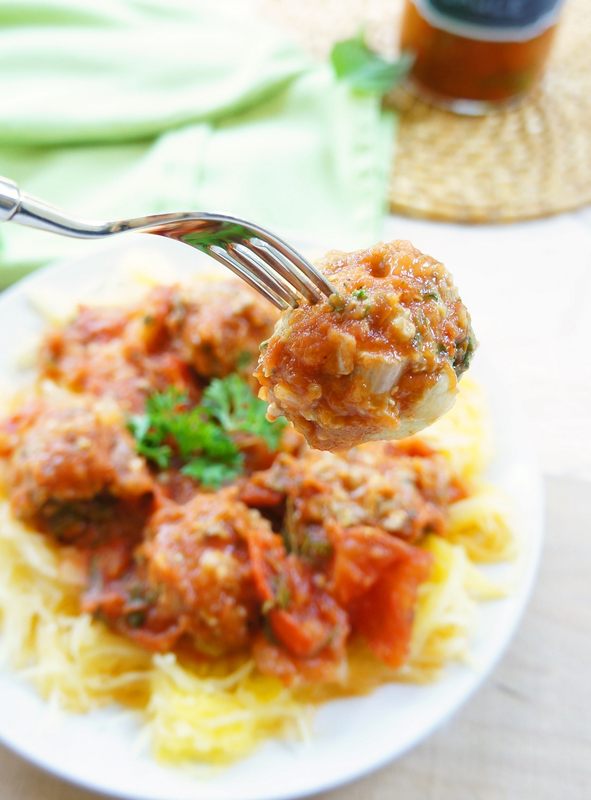 I hardly ever prepare meatballs but I am tempted to give your recipe a try. You should try them Agata..they’re pretty yummy!